All You Med Spa physician-supervised weight-loss programs provide treatment in a clinical setting with our board-certified doctors, nurses, physician assistants, registered dietitian and/or a psychologist. Our program offers services such as nutrition and physical activity counseling and behavioral therapy. Additional testing may be recommended depending upon the medical history and physical findings. 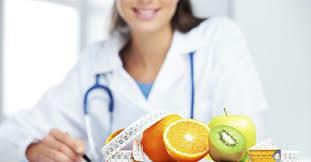 The cost to participate in a physician-supervised weight-loss program varies depending upon the services offered. Health insurance companies may cover some or all of your treatment, particularly if you have weight-related health conditions such as heart disease, hypertension or diabetes. A physician, physician assistant or nurse practitioner specializing in obesity treatment provides the initial consultation. The initial consult involves a focused medical evaluation for diseases related to obesity and causative factors, along with a physical examination. In addition, the medical professional will obtain a weight history, which includes past diet attempts, and may conduct a thorough psychological history. Many patients come to the clinic with undiagnosed diabetes, high cholesterol, thyroid disorders, abnormal liver tests or obstructive sleep apnea. Additional testing may be recommended depending upon the medical history and physical findings. Methionine Inositol Choline (MIC) Injections, also referred to as Lipotropic Injections, are used to help release fat throughout the body by specifically targeting its primary fatty deposits. Lipotropic, or fat burning substances include inositol, which helps the liver remove fat; choline, which distributes cholesterol and prevents it from getting deposited in one part of the body; and methionine, which is similar to inositol, but also amplifies the combination. Injections can be administered up to twice a week, and vitamin B-12 is purported by practitioners and users to help accelerate metabolic processes while creating a greater feeling of overall energy. 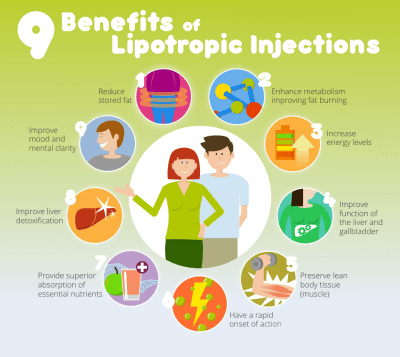 Since lipotropics directly aid in the breakdown of fatty tissue and are also closely related to B vitamins, when used together, they are thought to intensify each others’ effects and are usually injected together as part of the same treatment injection cycle.